Digital Archives - Build the Brand. Protect the Brand. The month of May is the equivalent of the Super Bowl for brands and ad agencies. During this time, media companies announce direction for the coming year. 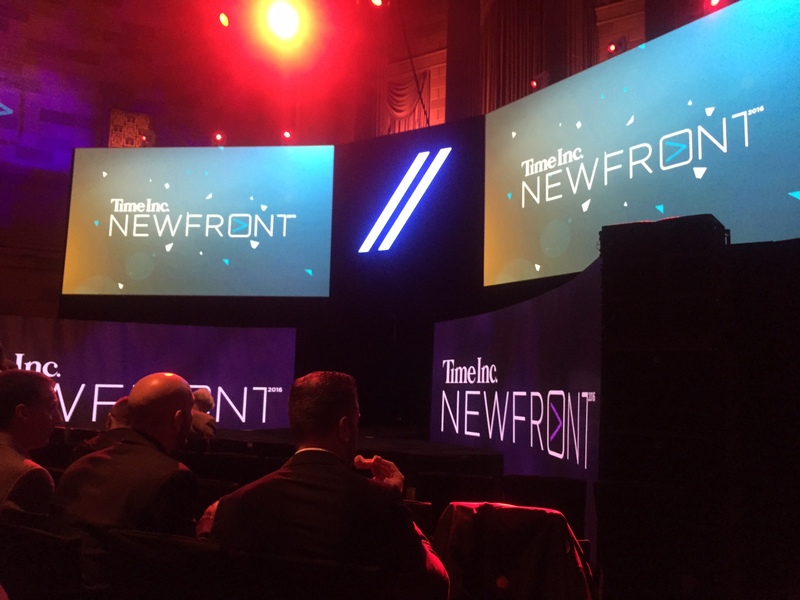 The digital NewFronts were recently created as a means for publishers to gain greater attention and steal share from the television industry, which still commands a majority of ad dollars spent. 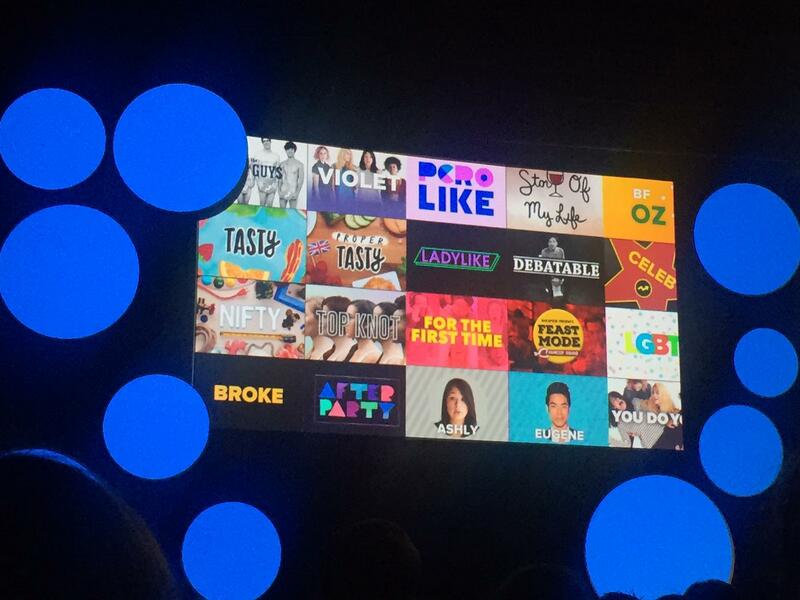 I was fortunate to attend a variety of the NewFront presentations and identified some key themes that emerged. Digital video is where it’s at. Publishers are focused on creating new online video franchises to compete for TV ad dollars. Depending on the publisher, advertiser opportunities range from custom co-branded videos to product integrations to sponsorship to pre/mid-roll placements. Publishers are investing in talent and quality production to swoon advertisers. Big Problems/Big Thinkers – Bloomberg (@BloombergTV): Academy Award-winning filmmaker Steven Soderbergh and journalist Terre Blair have paired up to create a series with major politicians and leaders to discuss major world problems and potential solutions. Chance – Hulu (@hulu): Hugh Laurie (House) will star in a psychological thriller as a neuroscientist. Time 100, The Influencers – Time: Through interviews of unique pairings, such as President Barack Obama and ballet dancer Misty Copeland, influencers react to the impacts of each other’s work and accomplishments. Virtual reality is the next big thing. 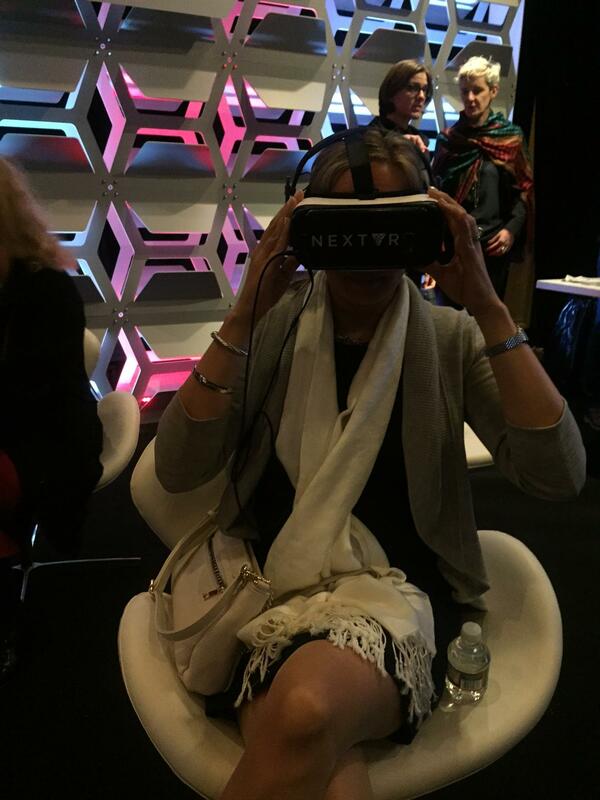 While details are scarce at this point, publishers are ready to tap into the immerse experience that VR can provide. Hulu enters into a partnership with Live Nation (@LiveNation), where they will make select concert performances available to VR users. Time Inc. (@TimeInc) will begin releasing VR content on behalf of its brands such as Time, People and Sports Illustrated…including the fan-favorite, SI Swimsuit franchise. Live streaming expands. Key announcements were made with regards to live streaming, either as a platform for TV content or general entertainment. 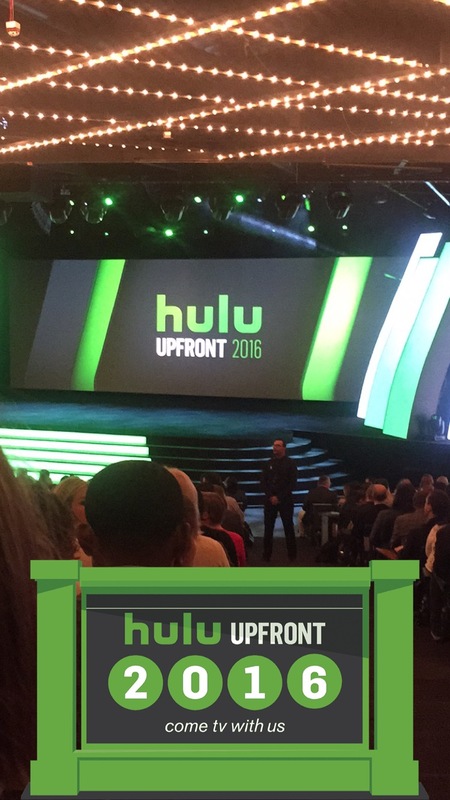 Hulu will offer a new platform for live sports, news and events in early 2017 (price point has yet to be announced). 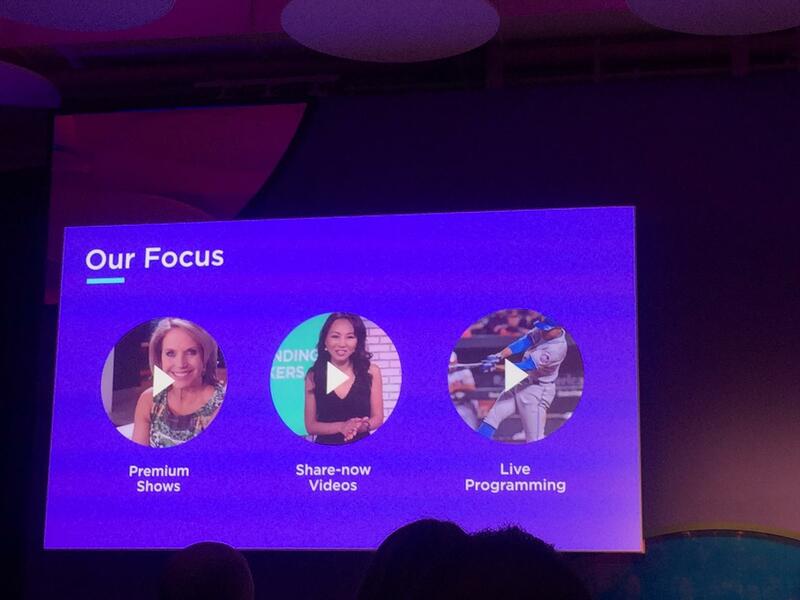 Yahoo is focused on live streaming sports free, without authentication. They will stream 400+ events in the next year, including a focus on MLB and NHL. In the case of Buzzfeed (@BuzzFeed), utilizing Facebook Live has finally reached TV-like viewing scale. As of late April, the rubber band/watermelon experiment saw 800k+ concurrent views and 10MM+ total views. Live streaming will invite hiccups though, as many witnessed with the Facebook Live event with President Barack Obama. Some technical glitch on Facebook cut the live-streaming interview short, but thankfully they were simultaneously streaming on YouTube, so all was not lost. Note, I attended presentations for Buzzfeed, Bloomberg, Hulu, Yahoo, Time Inc. & YouTube, so examples are drawn from those presentations. For a full recap of the highlights, please see Cynopsis Media’s wrap-up from May 16th (here). As a digital strategist who has spent a substantial amount of time in the experiential/event marketing world, one of the opportunities that intrigue me most is how to drive consumers from physical environments to digital platforms to create seamless experiences. A great example of this offline-to-online transition is Las Vegas Convention and Visitors Authority’s limited-edition #WHHSH beer activation at Coachella, encouraging concert goers to interact with the #WHHSH hashtag on social media. Our tools for this type of activation have typically included URLs and the dreaded QR code. As digital sensors better mimic our physical senses, we move closer to a seamless physical-to-digital experience. Recently, I have seen national use of a technology that I’m stoked about for this purpose: sound recognition. More specifically, Shazam. The first was Coke Zero’s promotion with ESPN GameDay in which you could use Shazam to get a free Coke Zero after tagging the commercial. The second execution, a recent Target commercial, suggested one tag it with Shazam to “begin shopping.” However, this wasn’t the first Target ad to use the app, and several other brands have used the technology including Starbucks, Jaguar and Honda. The sound in brand ads is inherently unique. The user is not required to type in a URL. Reinforces “sound branding,” like the sound of pouring a Coca-Cola or a revving Harley-Davidson engine. Tag management in Shazam allows the user to visit the experience at their convenience. Shazam has also recently added visual recognition to their functionality. If a user sees the app’s camera logo, he or she can unlock a deeper experience by pointing the camera at the image and tapping the Shazam app button. Now a brand’s ad itself or logo becomes the QR code. As visual and sound recognition are being perfected and driving a more interactive world, what is the next step? The sense of touch is already being prototyped and is in experimentation mode. A TED Talk, “Shape-shifting tech will change work as we know it,” shows how we’re starting to interact with the digital world in physical space. These advances, coupled with other advances, like augmented reality and iBeaons, are bringing us one step closer to a total sensory digital experience. As a digital geek, I am all-in for the next frontier of digital marketing, further leveraging our five senses—perhaps taste will be next! As our society becomes more engaged in social media, we turn to digital avenues to raise awareness for everything from stating our point of views on hot topics to promoting our businesses. Social media sites such as Facebook and Twitter have replaced traditional means of getting our message across, reaching more people than ever before. Join us for this Friday’s #RRchat on Twitter from 1-2 p.m. to talk about how Social Media is helping to drive awareness on topics such as your health status and the upcoming election season. Check out the questions below for a sneak peak of the discussion points. 1. Facebook now lets users ID themselves as organ donors. Will you share your organ donor status for all to see? 2. Every November, men around the world grow a mustache to raise funds and awareness for men’s health issues. Do you think this impacts others’ awareness on issues like prostate cancer? 3. With elections just around the corner, politicians are already sprucing up their social media presence. How can having a social presence help raise awareness about their stance on issues?